Andrew and Emma Doherty who have introduced fully biodegradable takeaway coffee cups and paper straws at The Grove Farmhouse Cafe, Blackboys, to cut down on plastic waste. 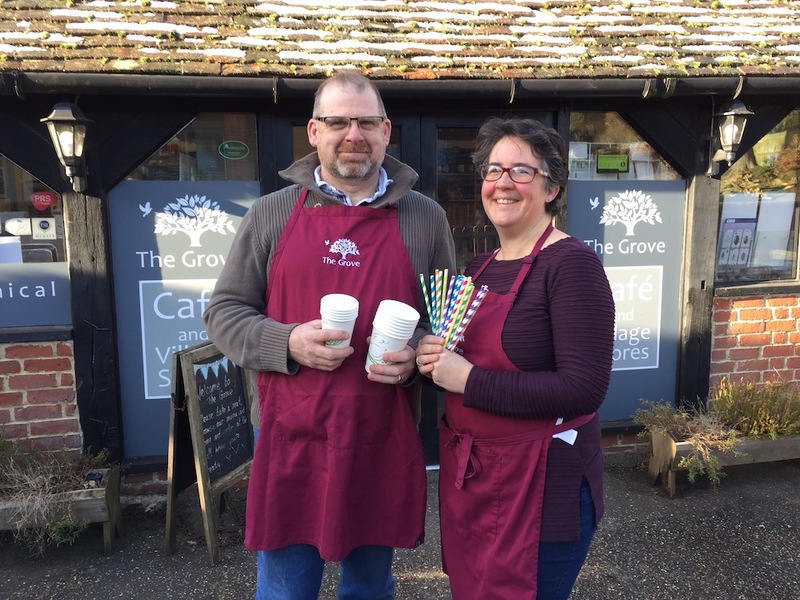 The Grove Farmhouse Cafe at Blackboys has switched its takeaway cups to completely biodegradable ones and introduced paper straws instead of plastic. Emma Doherty who runs the business with husband Andrew, and friends Sarah and Andrew Wright said they had thought their previous takeaway cups were recyclable but then a customer showed them how the outer cardboard layer was wrapped around plastic. The cafe is also encouraging people to bring in their own reusable cups by offering two stamps on their loyalty card rather than the usual one. The Grove is known for its farmhouse food and every day features a choice of hotpots on its lunch menu – all made on the premises with fresh, locally sourced ingredients. There are usually vegetarian and meat options, with examples being Moroccan Lamb, Mexican Bean and Lentil Dahl. The hotpots are proving popular with customers and so are homemade soups and dessert puddings with custard. The Grove is open Monday to Friday from 9am to 4pm. On Saturdays the cafe, which seats up to 35, can be booked for meetings and functions with catering provided. The Space next door also provides a private setting for your meeting. That seats up to 20. The Busy Bee Club meets there fortnightly on Tuesdays for crafts and activities followed by lunch at The Grove. The club provides a chance for seniors to develop old friendships and grow new ones while enjoying a range of activities, followed by a delicious meal. A scrabble club meets at The Grove on the first Monday of each month from 1.30-3.30pm with sessions including tea, or coffee, and cake. There’s also a coffee and craft morning each Monday 10am to noon. 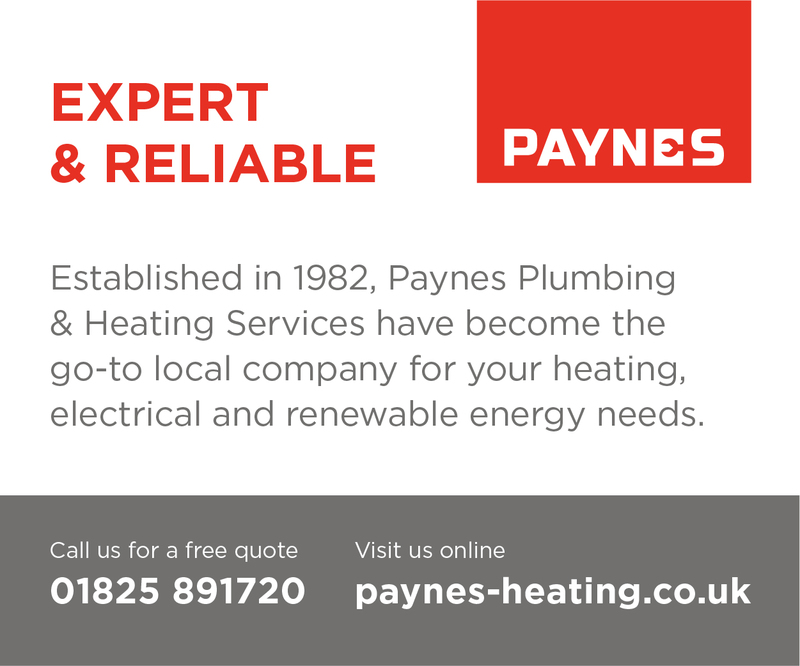 • The people behind the filming of David Attenborough’s Blue Planet 2 have said there was rarely a time when they were filming that they didn’t come across plastic in the sea. One episode focused on how plastic was having a devastating effect on the ocean and slowly poisoning sea creatures and that has led to more businesses, such as The Grove, looking at ways of cutting down on single-use plastics. 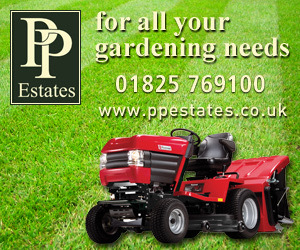 • Contact details for The Grove Farmhouse Cafe can be found 24/7 in our Uckfield Directory. Look for the name or search in the category for Cafes.